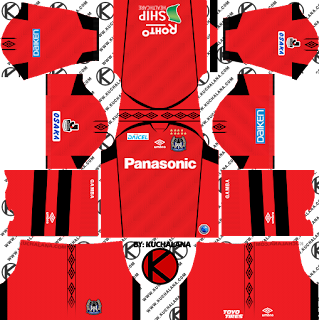 Get the Gamba Osaka (ガンバ大阪 Gamba Ōsaka) kits seasons 2018 for your dream team in Dream League Soccer 2018 and FTS15. 2014 model since then. 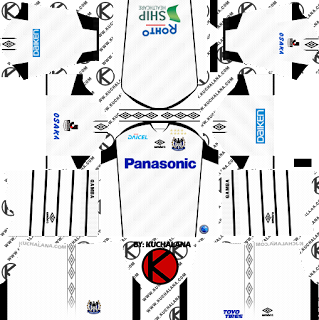 The logo of the new sponsor "Daicel" is entered in the right thoracic collarbone portion, and the Umbro logo is arranged in the center. 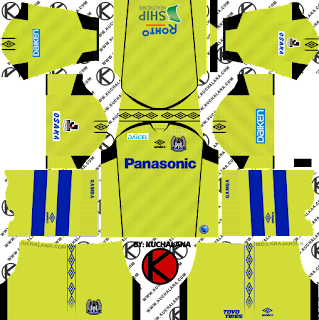 Away expresses the graphic that motif of "Yazaki pattern" as a bias, and imagined lightness in addition to a heavy feeling. The uniform sponsors are as follows. 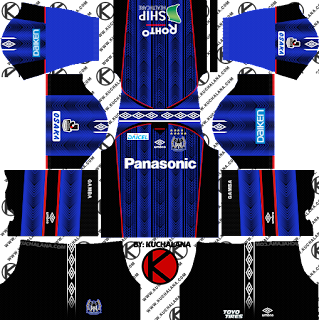 0 Komen untuk "Gamba Osaka kits 2018 - Dream League Soccer Kits"